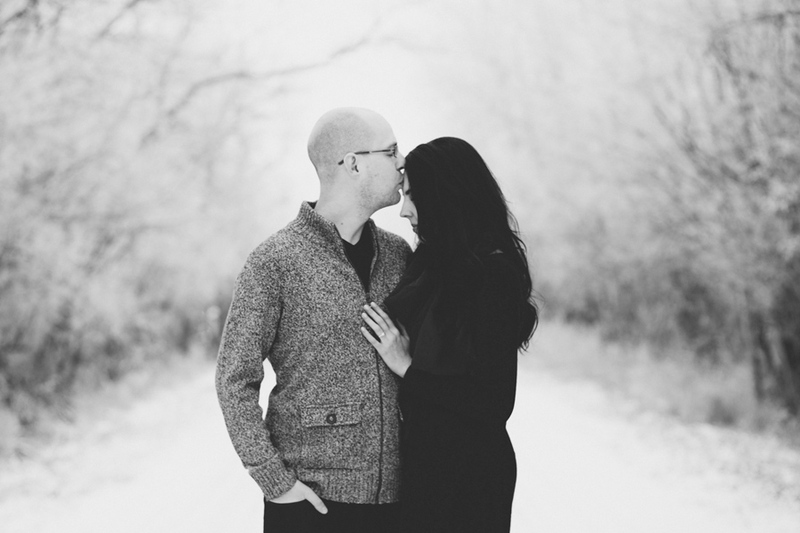 Dan & Katie cozied up for their little winter mini session and they couldn’t have looked more in love! These two mentioned a couple of times on the way that they were “the most unphotogenic couple everrrr!! !”… so when I got a message back saying ” OH MY GOSH, WE LOVE THEM!!!! :):) Thank you sooo much”… I was pretty excited to confirm that they in fact were NOT unphotogenic at all!!! Coming up to their parents place we found the most magical winter road that made the perfect back drop given the recent hoar frost spell!! 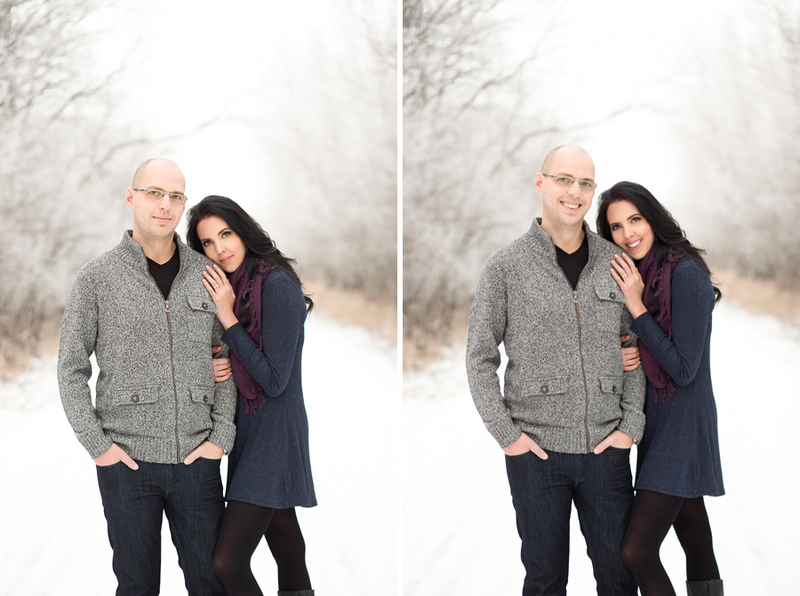 They snuggled up braving the cold while I posed them in a few of my favourites. These two will be married this coming summer at the beautiful Rolling Greens Fairways and we cannot wait to see the plans!